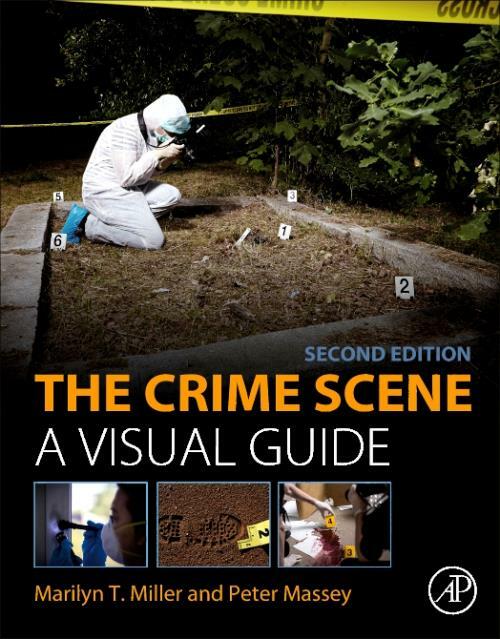 The Forensic Crime Scene: A Visual Guide, Second Edition presents knowledgeable chapters on crime scene investigation, the various types of documentation, scene reconstruction, and the value of evidence and proper evidence collection. Additionally, a companion site hosts video and additional instructional materials. The primary goal of this book is to provide visual instruction on the correct way to process a forensic crime scene. By using photographs and video clips to show proper vs. improper procedures, the reader will be able to identify the correct principles required to process a scene. Marilyn Miller is a graduate of Florida Southern College with a bachelor's degree in chemistry. She earned a master's degree in forensic chemistry from the University of Pittsburgh and a Doctorate in Education from Johnson & Wales University in post-secondary educational leadership. Miller is a tenured, associate professor in the Department of Forensic Science at Virginia Commonwealth University. As a post-secondary educator for almost twenty years, she teaches a wide variety of forensic science and crime scene investigation classes to both forensic science and criminal justice majors at the undergraduate and graduate levels. She is a Fellow in the Criminalistics section of the American Academy of Forensic Science, the Southern Association of Forensic Scientists and the American Chemical Society. Miller is a former faculty member at the University of New Haven and the Henry Lee Institute of Forensic Science/ National Crime Scene Training Center. She has presented and taught as part of hundreds of forensic seminars across the United States and foreign countries. She is the author or co-author for several textbooks or chapters concerning crime scene investigation or reconstruction and forensic science. Before coming to VCU, she worked as a supervisor and forensic scientist for law enforcement agencies in North Carolina, Pennsylvania and Florida. She has testified over 400 times in county, state and federal courts of law as an expert witness in the field of forensic sciences and crime scene reconstruction. She has participated in hundreds of crime scene investigations, both as an active investigator. Currently, she also serves as a consultant for both prosecutors and defense attorneys. Miller designed, opened and operated crime scene units and forensic laboratories on the West Coast of Florida for over ten years. A member of several professional organizations, he has been a consultant for and appeared on the "On the Case with Paula Zahn television show. He has traveled to the Bahamas, Mexico, and extensively throughout the United States to various Police Departments to train their patrolmen, detectives and investigators in the proper techniques used as first responders and crime scene investigators. Other specialty topics include shooting reconstruction, blood spatter pattern analysis, trace evidence, and finger printing. He has also been a co-author on a chapter on handling of forensic botany evidence in Forensic Ecology Handbook: From Crime Scene to Court. Peter's interests include examining the value of standardization of crime scene investigation training and methods and new technological advancements in crime scene investigation.